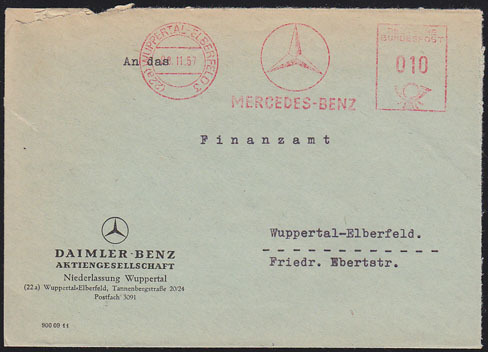 7723 EMA GERMANY (1952) Cliffs of Heligoland*. 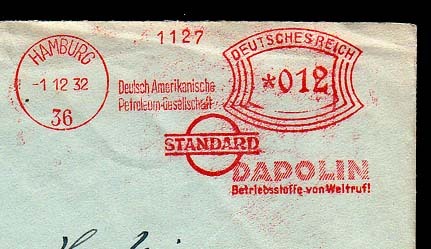 Red meter cancellation on envelope "Denkt an Helgoland." 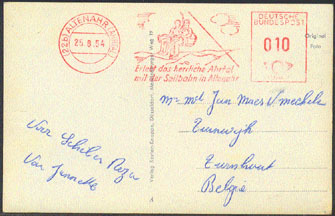 7725 EMA GERMANY (1954) Couple on chairlift*. 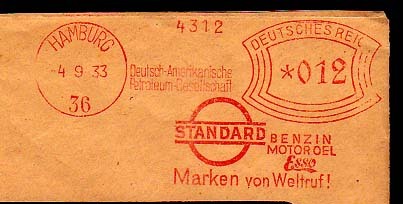 Red meter cancellation on picture postcard. 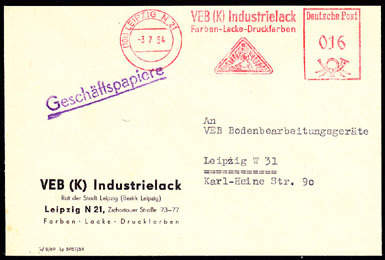 "Erlebt das herrliche Ahrtat mit der Seilbahn in Altenahr."